The glass transition temperature is a well-established indicator of tyre performance, yet it is one of the major mysteries of material science. In this article, Nynas researcher Martina Levin outlines how the unravelling of this elusive parameter can assist the development of new optimised extender oils. The glass transition temperature is a well-established indicator of tyre performance, yet it is one of the major mysteries of material science. In this article, Nynas researcher Martina Levin outlines how the unravelling of this elusive parameter can assist the development of new optimized extender oils. For over fifty years the rubber and tyre industry has used mineral oils as extender oils. Extender oils decrease rubber viscosity and thereby facilitate its processing. 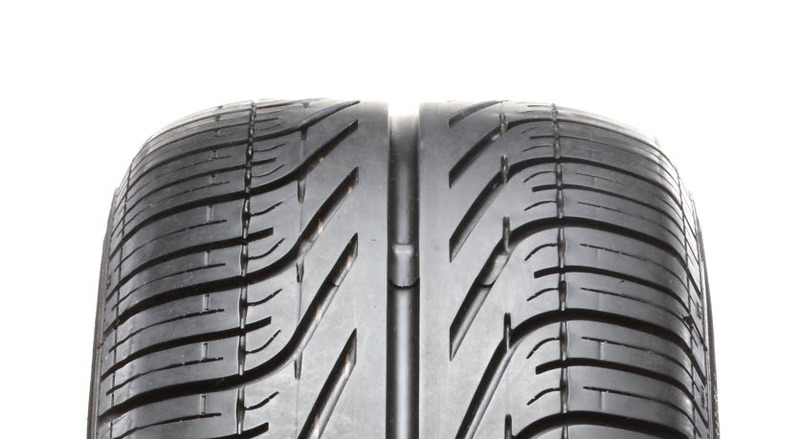 However, the composition of the extender oil also has a significant impact on the properties of the final rubber components or products, such as tyres. In the tyre industry, aromatic extracts have traditionally played a dominant role as extender oils. However, concerns regarding their toxicity and forthcoming European legislation have spurred an active search for suitable alternatives. Naphthenic oil is one of the major candidates put forward. Whilst replacing the aromatic extracts it is vital that the tyre's performance is maintained - ensuring, for instance, high wet grip, low rolling resistance and low heat build-up. The glass transition temperature (Tg) is an established parameter that is often used as an indicator of tyre performance. It is used within the polymer industry to characterize structural relaxation properties, but it has also been widely adopted in the lubrication industry as a measurement for viscosity pressure properties and lubricant solidification pressure. However, Tg is an elusive parameter, often described as the temperature at which the material changes from a liquid (or rubbery) state to a solid, glassy state. A glass is a material having the same disordered structure as a liquid but the rigidity of a solid. Rubbers, like styrene butadiene rubber, are used above their glass transition temperature, whereas hard plastics, like polystyrene, are used below their glass transition temperatures. Since many properties (for instance viscosity, specific heat and elastic constants) change dramatically at Tg this can also be defined as the temperature at which the viscosity takes on a given value. In order for glass transition to occur, the material needs to be in an amorphous state, either naturally or by supercooling in order to quench crystal formation. It should be emphasized that glass transition is different from melting. Melting only occurs in crystalline materials and the melting point is the temperature at which the material changes state from a solid ordered structure to a less ordered liquid. The underlying theoretical explanation of Tg has not yet been fully clarified. There are three main theories - one focusing on so called free volume, another on thermodynamics and the third claiming it is all down to kinetics. Of late, new theories have emerged, for instance one based on sophisticated statistics and one using an energy landscape model. However, none of these theories is entirely successful in explaining the macroscopic phenomena occurring at Tg. Hence, glass transition is not as trivial as it may seem. To quote one of the subject area's greats, Salvatore Torquato, Professor of Chemistry at Princeton University: "The underlying physics of glass transition remains one of the most fascinating open questions in material science and condensed-matter physics." Tg is an ill-defined quantity as it is method and rate dependent. Higher heating/cooling rates or higher frequencies give a higher Tg. Therefore, it is of utmost importance when defining Tg to also define the method used. It is also a well-documented fact that molecular structure has a major impact on Tg. Whilst flexible groups (like ether links) will enhance flexibility and reduce Tg, inflexible groups (like benzene) will increase it. In the same way double bonds, chain-ends and ring-formations will influence Tg. Having said this, it may be easy to rationalize about Tg, but it is much harder to predict actual values. Although molecular structure plays a major role, very few studies have been published concerning the effect of chemical composition on glass transition. This despite the fact that mineral oils are used very extensively as extender oils in the rubber and tyre industry. To remedy this we have conducted a preliminary study addressing the issue of how different molecular groups present in naphthenic oil affect the oil's Tg. Three highly refined, hydro-treated naphthenic oils with low aromatic content and of different viscosities were separated into saturated, aromatic and polar fractions using silica gel separation. The fractions, defined according to ASTM 2007, were analysed by refractive index and thin layer chromatography to ensure that separation had occurred. 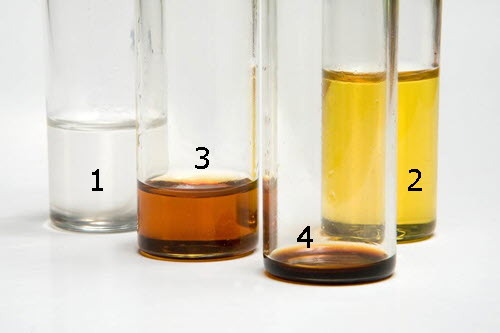 Some characteristics of the test oils are given in Table 1. The glass transition of each fraction was measured using Differential Scanning Calorimetry (DSC), which is the most common static method for glass transition measurement. The samples were first heated to 70˚C, then cooled by 10˚C/minute to -120˚C, and finally reheated at a rate of 10˚C/minute. This cycle of heating and cooling was carried out to ensure that the samples shared the same thermal history, a factor which may otherwise have affected the measurement. Both the refractive index and density increased from the saturated, to the aromatic, through to the polar fraction, indicating that separation had occurred. The DSC measurement revealed that Tg values of the fractions increased in the same direction (Figure 1). Despite the fact that the viscosities of the starting oils were quite different, the Tg of the fractions was quite consistent and resulted in the following: around -65˚C for the saturated fractions, around -40˚C for the aromatic fractions and around -15˚C for the polar fractions. Glass transition temperatures for the unfractionated oils were found to be between those of the saturated and the aromatic fractions. This led us to conclude that the apparent Tg of an oil is the combined Tg of the molecular groups present. The fact that only one Tg value is obtained, despite the oil being a mixture, differentiates naphthenic oil from polymer blends, for which more than one Tg value is often seen. It also indicates that the molecular groups present in naphthenic oil are fully miscible in each other. From this study it is clear that the molecular groups present in the oil can shift the glass transition in different directions. Therefore, there is scope for extender oils tailored to suit different application needs. One challenging task is to optimize the composition of the oil, not only in order to arrive at the desired Tg, but also to achieve this without ignoring other important parameters of the oil. Nynas research department, utilizing the advanced processing techniques of the refinery, is well suited to continue this quest for solutions to the mystery of glass transition.